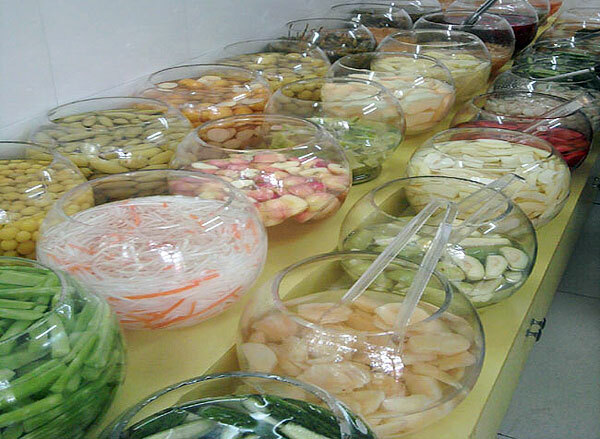 The Chinese pickles are made of selected vegetable or white radish. They are soaked in vinegar and sugar and preserved for a couple of weeks. It tastes sour and sweet and is used to be served as an appetizer at some restaurants. Local people believe that it can arouse the appetite and help digestion.